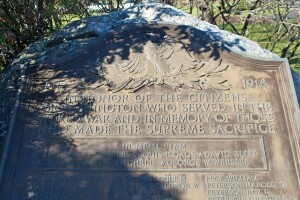 Washington honors veterans of the 20th century’s major wars with two monuments near its Town Hall. 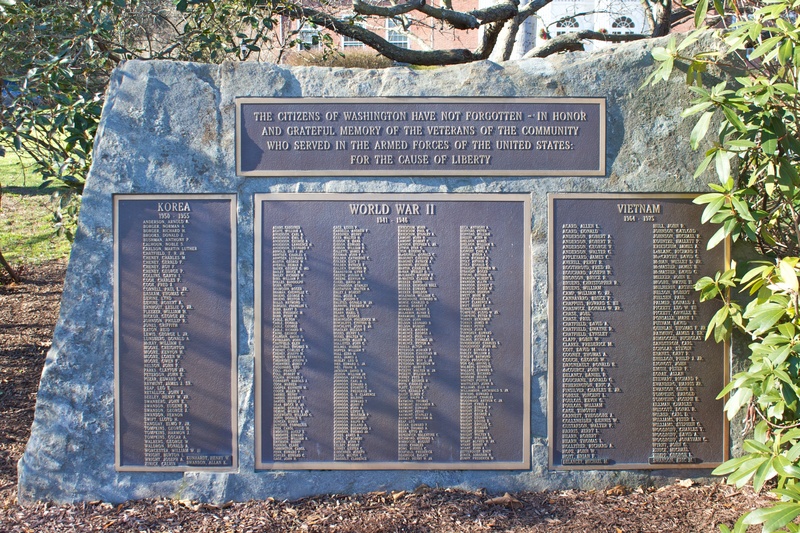 The plaque lists five residents who died during the war, and lists the names of 106 other residents who served. 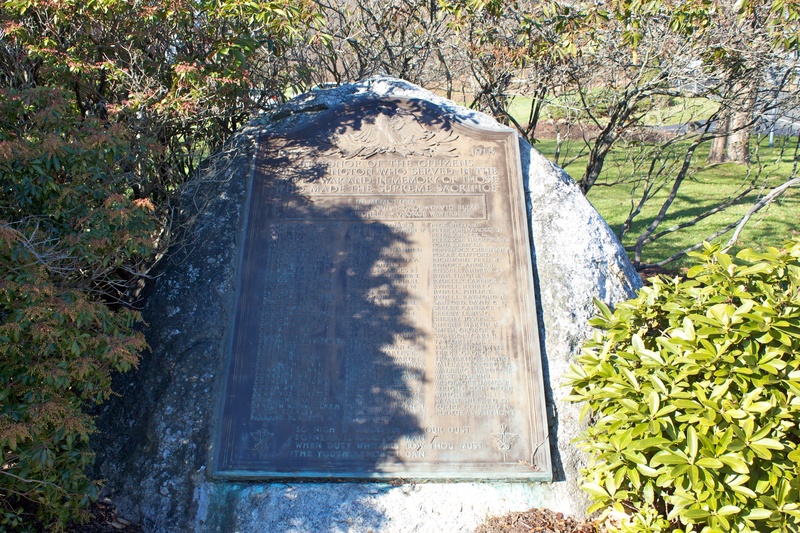 The poem was written in 1863 to honor young people enlisting in the Civil War, and has been used on a number of war memorials. 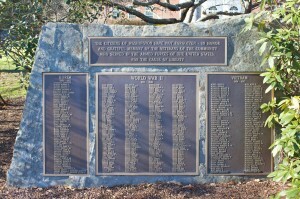 The plaque honoring World War II veterans lists 276 names. The Korean War plaque honors 56 veterans, and the Vietnam plaque lists 94 residents who served. 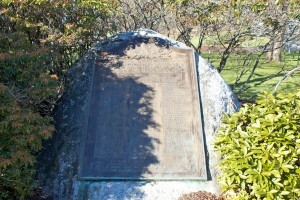 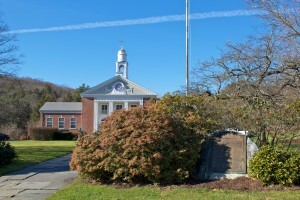 The plaques, near the intersection of Calhoun Street (Route 109) and Bee Brook Road (Route 47), stand in front of Washington’s Bryan Memorial Town Hall. 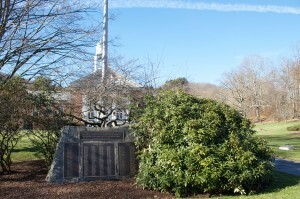 The building was a posthumous donation by Gregory Seeley Bryan. 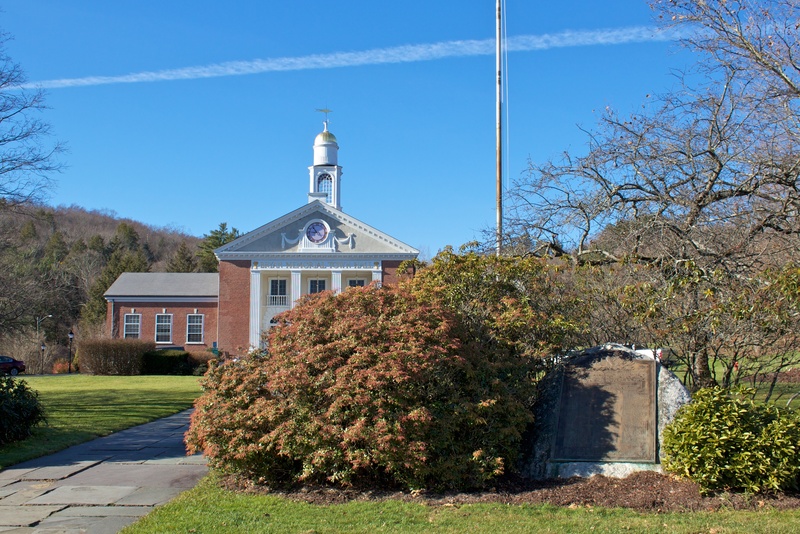 Bryan was a Washington native who owned the Weed Chain Company in Bridgeport, which manufactured tire chains, car jacks and other products. 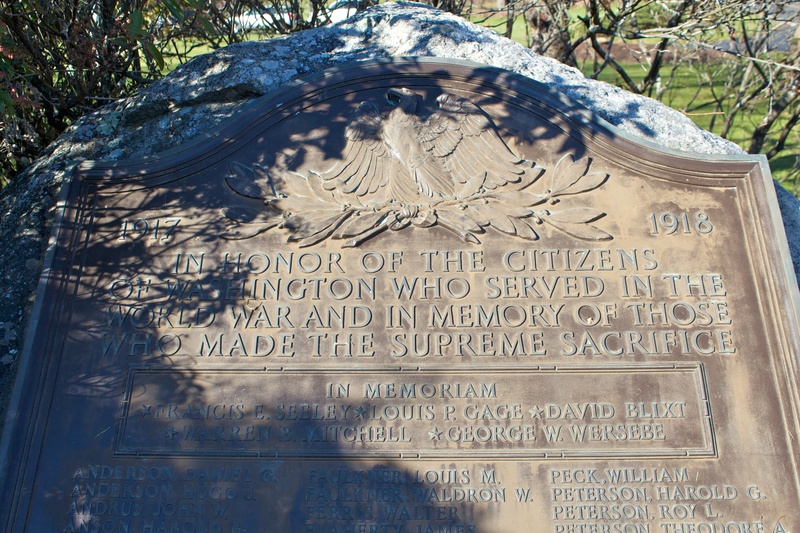 Bryan died in 1929, and left money for the construction of a municipal building to honor his parents.